Have you heard anything about the Gerson Diet? If so, what opinion do you have regarding its success and validity? Max Gerson, a German physician, developed the Gerson diet in the 1940's. The diet, which is often referred to as a metabolic diet, was designed to "stimulate the immune system." It includes a regimen of cleansing and detoxification combined with a vegetarian diet and supplements. The program has been promoted as a treatment for cancer and other autoimmune diseases by Dr. Gerson and his followers. Dr. Gerson believed that autoimmune disorders were the result of chemicals in foods and the environment poisoning the liver. 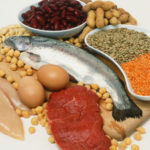 He also proposed that imbalances in dietary sodium and potassium weakened the immune system and deficiencies of oxygen-supplying enzymes contributed to decreased intestinal flora. His diet attempts to correct the problems he perceives to be causes of cancers and other autoimmune disorders. The diet requires drinking large amounts of fresh, organic fruit and vegetable juices, originally every hour for 13 hours a day. Meals are organic vegetarian and exclude all animal protein as well as no oils, salt, nuts, berries and processed foods. The diet is supplemented with potassium, thyroid, enzymes, B vitamins, vitamin C and linseed oil. In addition, coffee and castor oil enemas are used to detoxify the liver. Participants in the program are required to discontinue conventional medical therapies. OncoLink strongly opposes this recommendation. To date the regimen's assumptions have not been scientifically validated. However, the National Institute of Health's Office of Alternative Medicine has been studying the program to determine its effectiveness. While most aspects of the Gerson regimen have no scientific basis, recent research does support the benefits of a low fat, plant based diet in preventing cancer. The most commonly cited problem associated with the program is that it is very restrictive and difficult to follow. It is also expensive, requiring a visit to one of the Gerson centers for initial detoxification and instruction. Preparation of the juices and meals is extremely time consuming and the organic foods and supplements can be costly. Physical side effects of the treatment may include severe nausea, vomiting, and abdominal cramps, as well as aches and pains. OncoLink strongly recommends that you alert your physician if you are considering the Gerson regimen. Again, it is not recommended by our editorial board that you discontinue any conventional medical cancer treatments in favor of this or any other unconventional or alternative treatments. Rather, it is suggested that you speak to your physicians and health care team to plan on working complementary treatments into your conventional treatment plan.